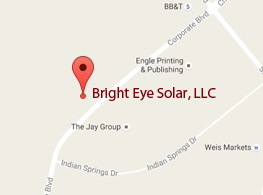 Thank you for your interest in our company and solar energy. If you would like more information regarding our services, fill out the form below and a representative will contact you shortly. Your address is used to determine if your building is suitable for rooftop panels using Google Earth. We will not send you unwarranted materials in the mail or share your address with third parties.